Discover this multiplayer FPS, capture-the-flag style! Choose your team and enter a realistic World War II battlefield -- you'll need to work with your comrades in order to plan a strategy to take over your enemies' flag. Watch your step, stay alert and bring it back to your base! Enjoy this pixel FPS that doesn't compare to your usual shooting game! 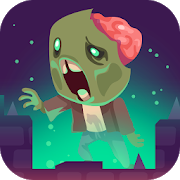 Choose one of the modes, move around a crazy world and try to survive. Choose your weapon and go for it!